OUT AND ABOUT WITH UNCLE PETE!!! 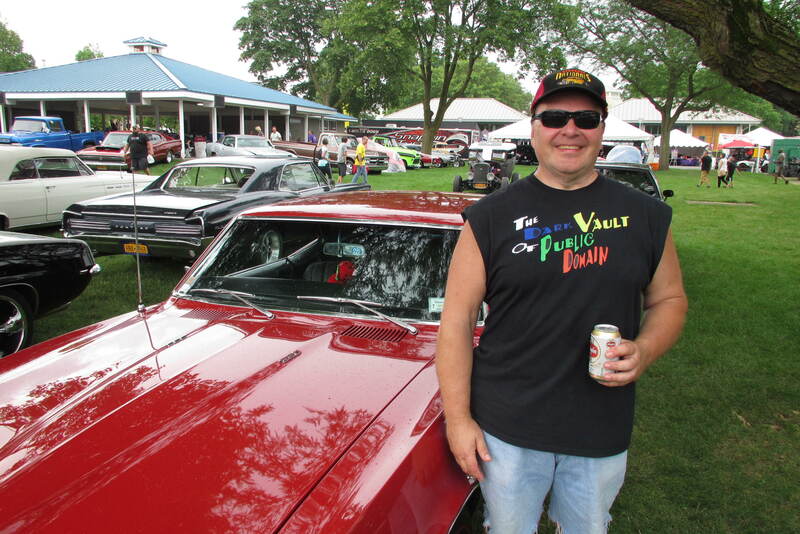 UNCLE PETE AND THE DARK VAULT HOT ROD MAKE THE SCENE AT THE NATIONALS! Greetings from the Syracuse Nationals!!! UNCLE PETE and The Dark Vault Hot Rod are taking in four days of the three day “largest car event in the Northeast”! There are over 8000 cars of every description and tens of thousands of people ambling around them. Here we see UNCLE PETE showing off official DVOPD summer wear next to the “Rod”. More to come! Stayed tuned! ~ by UNCLE PETE on July 16, 2017.